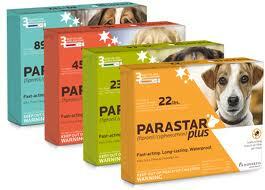 Friendship Tails: Flea and tick prevention - always important! Flea and tick prevention - always important! Summer is in full swing – hello heat wave! The only creatures enjoying this weather are the creepy crawlers so now is the time to be extra vigilant with your flea, tick and heartworm prevention. Protecting your dogs and cats against fleas and ticks is important as well. Tick borne infections such as Lyme disease, Erlichia and Rocky Mountain Spotted Fever are transmitted when an infected tick bites your dog. The best way to ward these infections off is with topical flea and tick preventatives like Frontline, Parastar Plus, K9 Advantix II, Revolution, or Advantage Multi. I recommend sticking with the brand names for these medications. The generics are not as good and some are downright dangerous, especially for cats. I also do not trust any “natural” product enough to effectively repel fleas and ticks. I know the though of applying chemicals to your pets is unappealing but so are the diseases these critters transmit. Lyme disease is an especially tricky beast as it is very common and the medical community does not yet fully understand how it affects dogs making diagnosis and treatment a challenge. Many dogs will test positive but this does NOT mean they have the disease, only that they were bitten by a tick carrying the bacteria that causes Lyme disease. In fact the vast majority of the Lyme-positive dogs I see never develop clinical signs of the disease. The best way to protect your dog from Lyme disease is through a combination of prevention and monitoring. Fleas can be extremely itching and irritating to both you and your pets. Some animals are allergic to fleas and one bite can lead to a significant skin infection. Once a flea infestation invades your home it can be very difficult to clear it out. The best bet is to prevent that from happening by applying the same topical medications that protect against ticks. Luckily, prevention is easy: just a pill and a topical medication once a month, every single month. If only everything were that simple.